I think everyone can agree that America is one of the best countries in the world to live in. One of the reasons why this is so is because of the freedom that this country is all about. We have the ability to build a life, start a business, adventure out, etc without the government breathing down our backs, well most of the time. Another thing that makes America stand out is the constitution. This document guarantees individual rights without government intervention. These rights include, freedom of speech, right to bear arms, right to a fair trial, religious freedom, etc. Unfortunately, one of the rights that seems to getting infringed upon lately is religious liberty and I’ll explain why. Now, let me start off by saying that in America, freedom of religion is relatively in a good state. 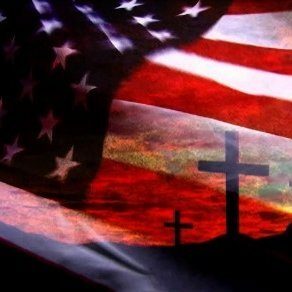 We, as American citizens, are free to worship God in our way. However, I believe in order for a society to really thrive, we need God in it. What I mean by this is that people should be able to talk about God anywhere, whether it’s in school, work, and even in public. As far as in public, there generally isn’t a problem, but with school and work, there has been a major issue with this. With school, teachers or administrators have banned or have been banned from talking about Jesus in the classroom or whatever, claiming that it violates the establishment clause of the first amendment. That claim is completely false. The purpose of the establishment clause was to keep the government from forcing people to follow a certain faith, no where in there does it say people can’t share their faith on government property. There has been many instances where students or teachers were suspended or fired for sharing their faith in school, specifically Christianity. For example, according to an article by The Christian Post, back in 2007 12 students from Heritage High School in Vancouver, Washington were suspended for praying. The incident took place when the students, who wanted to start a prayer club but were denied from doing so, decided to pray at their lunch table, nothing wrong with this right. Well apparently, an alleged Satanist complained to the school office. As a result, they were suspended. This not the only incident of this, according to an article by CBS news, assistant coach Joe Kennedy was fired from his coaching position at a Washington state high school after he led his team in prayer after winning a game, ridiculous right. There are plenty of other cases about this happening at schools across America. I can’t help but wonder that if these people were Muslim, if they would have faced the same situation. Not only is this happening in schools, but it’s also happening in the work place. For the past few years, we have seen multiple cases of where for example a Christian who owns a cake shop refuses to participate in a gay wedding, by baking a cake. As a result, he his forced by the government to pay a heavy fine and essentially close his business. Keep in mind that these are private businesses so they can refuse service to anyone they want, and especially if it violates their religious beliefs. I know that this no where near the persecution that Christians face in other countries, but if we continue down this road, we might eventually get there. To shift gears a little bit, lets talk about what’s happening with Christianity in America specifically. Especially over the past few years, we have seen a number of Christian pastors making the gospel politically correct by taking out controversial topics. For example, they would refuse to say that homosexuality is a sin or that abortion is a sin, or whatever. Basically they are dumbing down their messages to avoid offending people, which is ridiculous in my opinion. Jesus may have offended many people, but did he stop spreading his message, absolutely not. This where Christians, myself included need to not worry about what other people think, but to worry about spreading the gospel to people. Overall, Christians have it good in this country, although that may change. However, in times where your faith may be attacked we should remember this verse, But sanctify the Lord God in your hearts; and always be ready to give an answer to everyone who asks you a reason concerning the hope that is in you, with humility and fear: 1 Peter 3:15.